Source code must be reasonably documented by using inline comments. Further documentation is welcome, but not required. Grading will be based upon the completeness of a project and on the game itself (i.e. idea, realization, implementation, gameplay, manual, etc.). Including the optional game overlay will be positively rewarded. Furthermore, the students have to send in a short status report on their projects by July 24 at the latest. Once I have the reports, I will update the project gallery page accordingly. Thanks for the update, this is great. Will be a lot of fun trying out all these new games/demos! Thank you for the updates here and in the Vectrex project gallery, Peer. Good to see that the projects have progressed a lot. I hope that grading also depends on code quality (comments, style, ...) and chosen language and not only on completeness. Why? An incomplete but well documented and structured source code has potential and might be completed one day. Whereas it's very hard to enhance/change a completed but not well documented and messy code. And: Completeness much depends on the task. Some students might have chosen a simpler task, some a more complex task without really knowing at the beginning. In my opinion those students with a complex task shouldn't be "punished". Just my 2 cents, I'm sure your grading will be fine. You can rest assured that the grading will be fair. Maybe a little clarification on what I wrote: By "completeness" I was referring to the completeness of the material handed in, i.e. binary + source code + manual. By "implementation" I meant what you termed as the "quality of the code". This also covers whether or not all the topics that we have covered in the lecture (like runtime efficiency, efficient memory usage, standard game programming techniques, tricks of the trade ...) have been put to good use. The grading will also take into account many other aspects. The students are not professional programmers and their levels of experience broadly vary. For most of them this project is the first larger piece of software that they write. Furthermore, the allocated time they had to actually work in their projects is rather limited compared to real game projects. Please keep that in mind when you play the results of the projects. Some students have already signaled that they will agree to release their games to the public (more on that later), while some others are still a little hesitant as they fear the opinions of the pros. I have received some more project updates yesterday shortly before midnight which I have not yet uploaded to the gallery. I will do so later today, so if you are interested, check back. Figures, I just noticed that the math does not add up. It is 40 hours of classroom presence and 140 hours of project work at home. Yep - that will probably happen [the judgment and opinion of others] - to all of us. Any released software gets sooner or later "reviewed" by a guy who knows so much more (or thinks he does) and comments are more often than not "not friendly". How I Deal With Harassment, Abuse, and Crazies In General. To Be a Pro is to Be Abused. Bottom line - (at least for me personally) - I create software because I like programming and most of the time I like the endproduct of what I do. One must be able to ignore other peoples opinion and be emotionaly "detached". Sure it is nice if other people like the stuff I do, but there are always others who don't. And the people who voice their opinion are often the not so nice ones. I for one would love some fresh blood in the vectrex community - especially people who still make mistakes, they have the greatest ability to learn and discover new ways, and for the forum - initiate some inspiring discussions. Thanks for the nice and adequate words, Malban. Exactly my thinking. I will pass this on to my students as encouragement. I did some more updates to the gallery page and also corrected some broken links and wrongly related screenshots. In any course I would expect the typical cycles of learning and experiencing implementation exercises and evaluations by both the instructor and your peers. Other soft skills such as building up a thicker skin, and interacting with the public, might be a good additional bit of experience and learning for the course. I think we have an good set of platform enthusiasts who can provide critiques in a supportive, if not positive, manner. Of the people I have reached out to at least one person has responded with an interim release. I was happy and look at their game and provide feedback. I would certainly welcome the opportunity to give feedback on the work of others in your course. I definitely echo Malban's sentiment of welcoming more Vectrex developers. Even if only for a single project. Your feedback is very welcome. I have just updated the project pages of "Space Assault" and "Traffic Race". Enjoy! 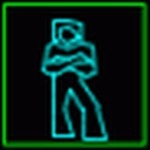 I just had a closer look at the recent updates of the Vectrex project gallery and found that there are first binaries of Space Assault and Traffic Race. This allows for testing and playing - great! And there are even overlays graphics that can be included in ParaJVE. Thank you very much to the students for providing their results! I'll send some feedback for Traffic Race, tonight. Space assault by Fabian Pfeifroth plays very well. Here's a video of Space assault on Vectrex hardware.